Want to decorate your table for a special occasion or as a decor vignette? 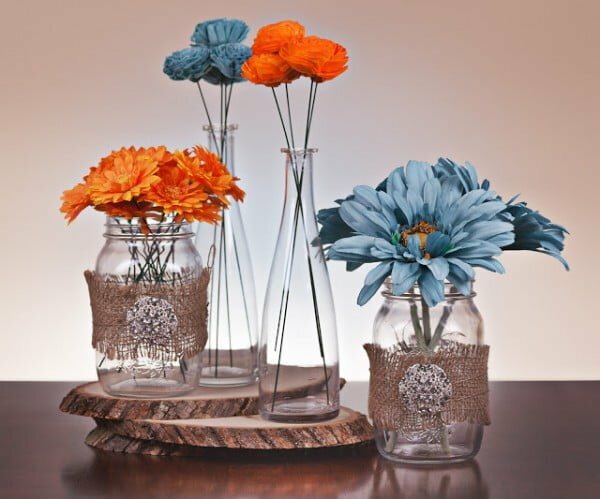 Here are 20 creative and easy DIY rustic centerpieces on a budget that will set you on track. While table centerpieces are usually decorated for special occasions such as weddings, Thanksgiving, or parties, we have a strong opinion about using them for everyday home decor. The reasoning is simple – they make any table look fantastic. And what better way to make an empty coffee table look better and liven up the living room than a well done rustic centerpiece with flowers? There are many more ways to make your DIY centerpiece so we went ahead and made a list of the best craft projects we could find. 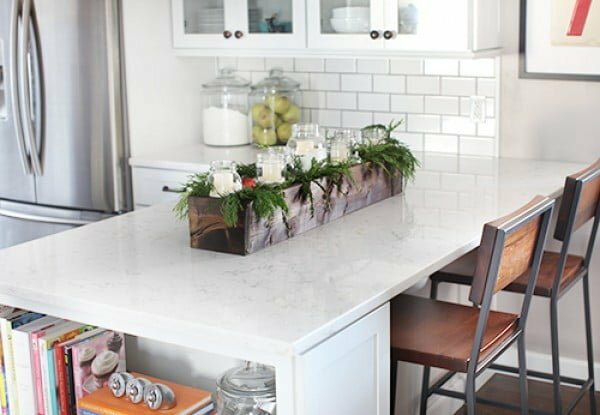 Here are several of our favorite ideas that will make a huge difference in your home decor if you choose to make some of them yourself. There’s nothing better than whimsical decor and unique accents. 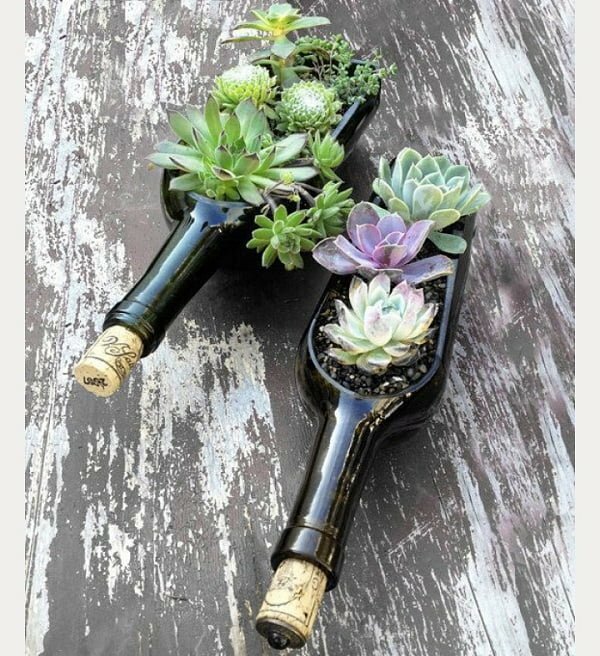 If you’re looking for a centerpiece that will stand out and make a great conversation piece, how about making a wine bottle succulent centerpiece. It’s the perfect project to reuse glass bottles that you may have around. There’s not much to this project other than cutting a glass bottle and planting succulents. But if you don’t know how to cut glass, you can get a wine bottle planter on Etsy. 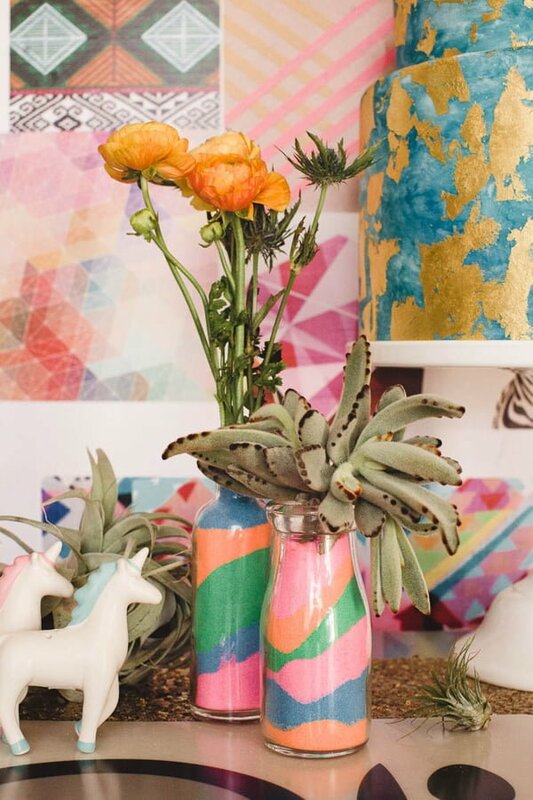 Creating your centerpiece from fun vases is a great way to decorate a table. But painting the vases isn’t a unique project. Filling them with colored sand, on the other hand, is one of the most creative projects you can do. It’s very simple too – all you have to do is get a few glass vases (bottles will work also) and some colored sand in the nearest crafts shop. All that’s left is to arrange your flowers into a beautiful centerpiece. Come fall season; everyone is crazy about pumpkins. There are so many DIY ideas for the pumpkin. One of them is making succulent planters for creative centerpieces. 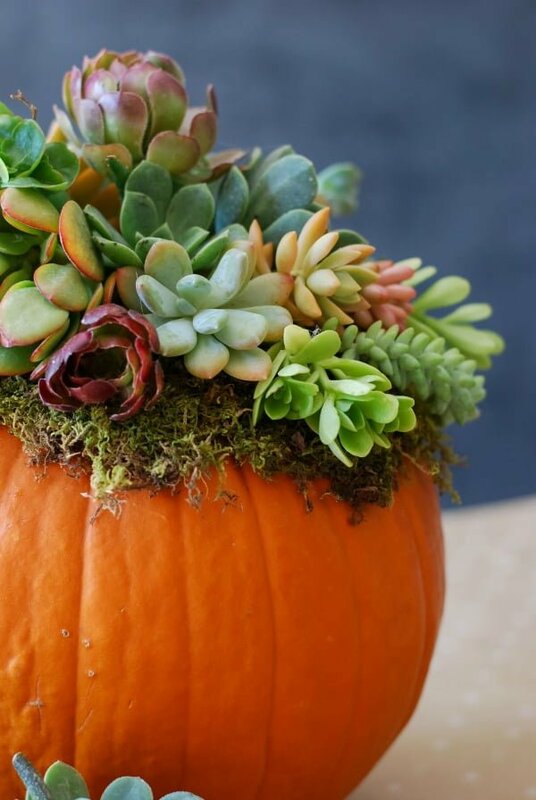 The idea is simple – carve out the pumpkin and plant succulents inside. It’s great way to add some fall whimsy to your tablescapes. Check out the tutorial for the instructions and how to make pumpkin planters yourself. This is a fun contraption for a DIY centerpiece that looks creative and interesting. It’s a great conversation piece that you can make yourself. The crepe wrapped geometric wire shape with added flowers will make any tablescape interesting. Follow this tutorial to see what craft supplies you need to complete this project. It’s simple, and you can do it in no time. Have fun! 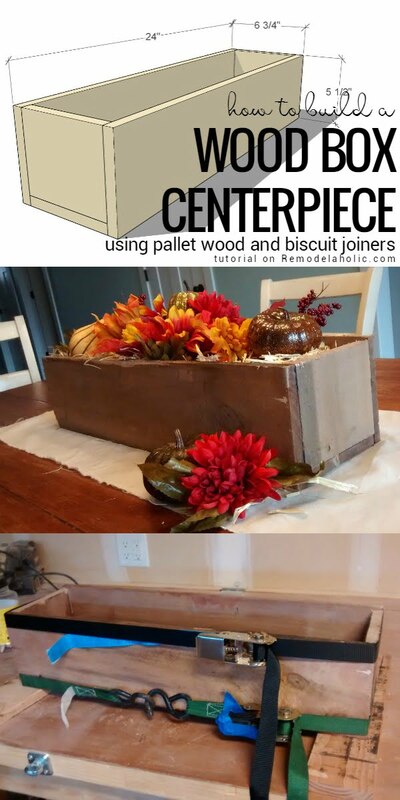 Make this rustic planter box for a lovely table centerpiece. 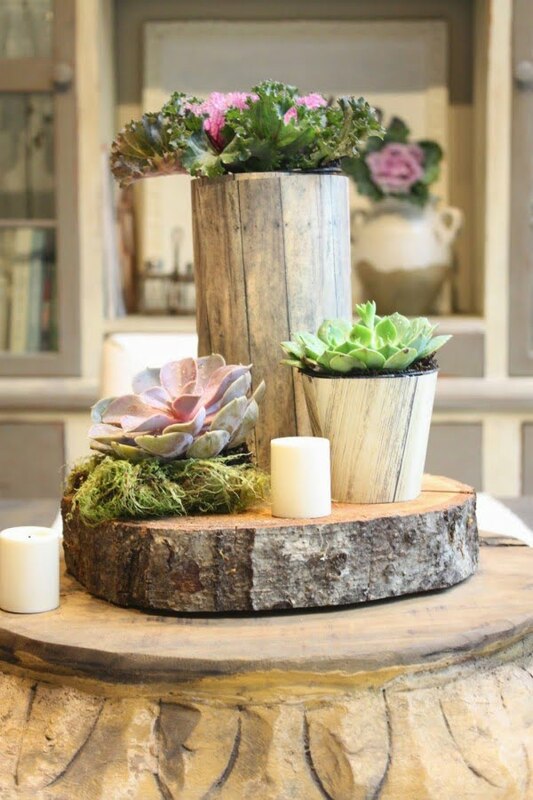 Your houseplant pots will look so much better when arranged in this rustic centerpiece. Use pastel paint to give it a shabby chic look. Check out the tutorial for instructions. It’s no secret that cake stands make great centerpieces and they are very easy to use. You can make your cake stand for that extra rustic touch as well. Follow the tutorial for an easy DIY project. 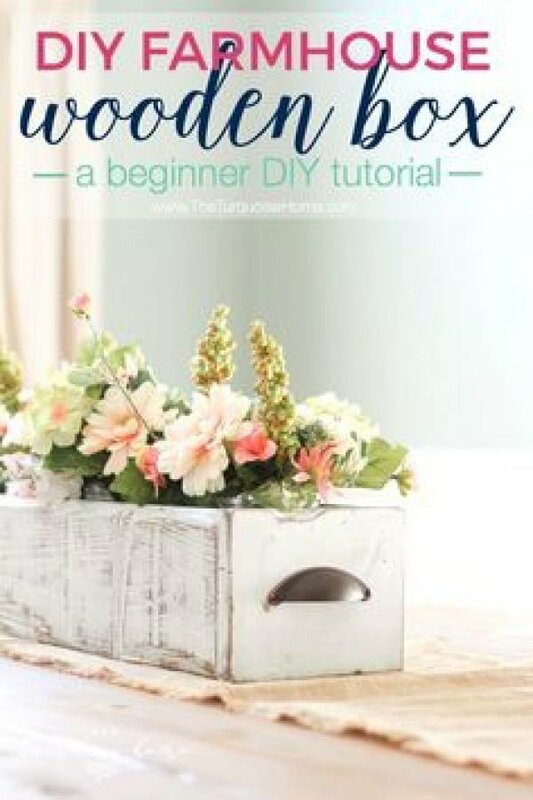 Here’s another way to build an attractive centerpiece box for your decor vignettes. Flowers look instantly better when arranged in this farmhouse centerpiece. The tutorial will explain all the details on how to build it yourself. If you’re looking for something straightforward, this rustic farmhouse centerpiece won’t take much time or effort to build. It’s an easy DIY project, and the tutorial will make it even easier for you. If you like original decor, then this rustic centerpiece will be your DIY project. Decorate simple planter pots with faux wood texture and use a wood slice as the base. It can’t be easier than that, but the result is remarkable. Here’s a rustic centerpiece box for your succulents that is very easy to build and looks very attractive. Wood stain gives this simple box a lot of rustic appeal, and it will make any decor vignette charmingly beautiful. Check out the tutorial if you want to take on this DIY project. A cute centerpiece doesn’t have to take a complicated DIY project to do. If you’re creative, something as simple as a wood slice will work well for a charming accent. Check out the tutorial for more ideas. Mason jars and wood slices make a winning combination to create an attractive rustic centerpiece. Combining them and making the centerpiece is a breeze. Check out this tutorial for a great look idea. 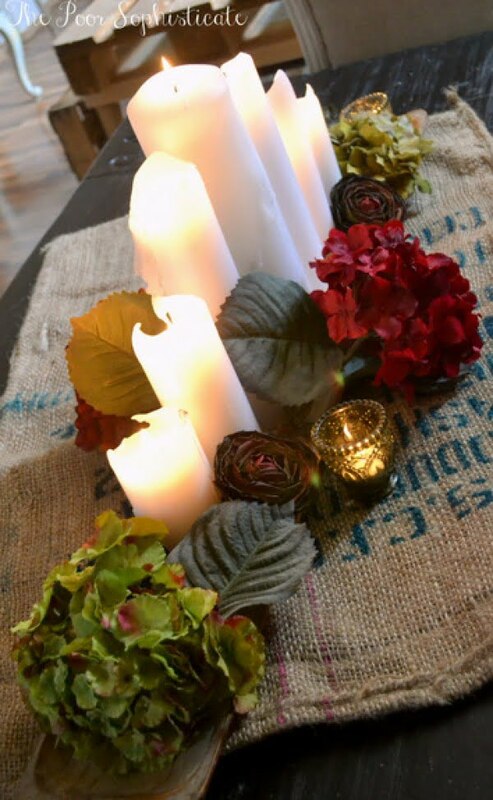 Burlap is an excellent material for rustic decor, and so it makes this centerpiece easy. It’s an adorable decor vignette, and you can easily replicate it at home if you like. 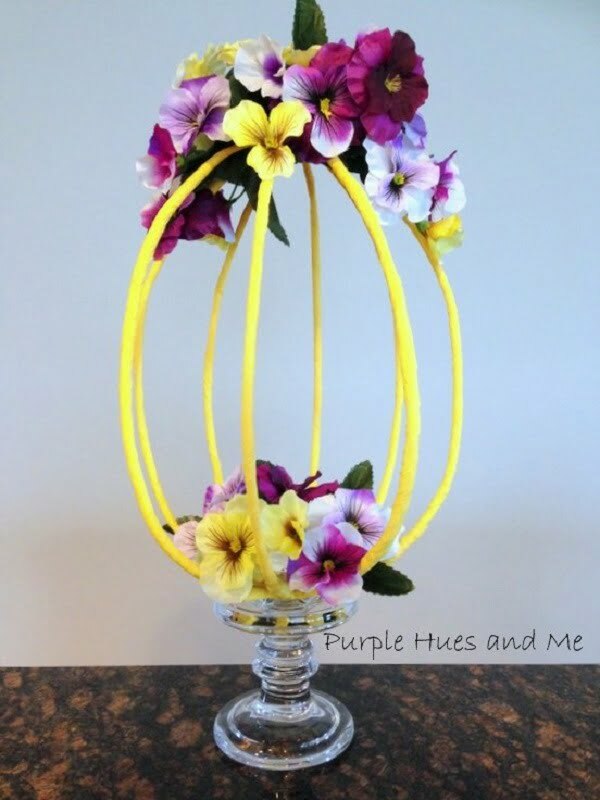 The tutorial will even give you the complete list of items that make this centerpiece. Here’s how you can build a stunning wooden box for rustic decor. The box can be used as a centerpiece or as a planter box to create warm home decor. Check out the tutorial to see how to do it. Pallet wood is the perfect material for rustic DIY projects, and it’s no surprise that we have a centerpiece box made from it as well. The tutorial has the complete plans for building it. Here’s another version for a rustic wood box centerpiece that is quite versatile in its use. You can fill it up with plants and decor pieces for any season, or even use it as a planter box. Check out the tutorial for the instructions. Using fake moss can create a lovely little centerpiece. 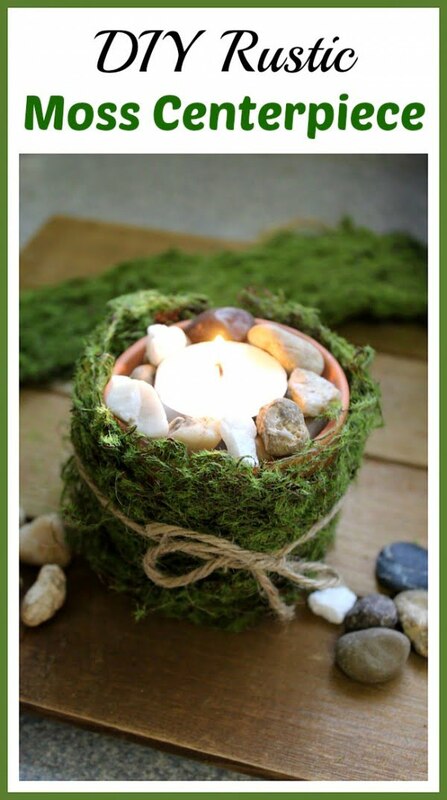 You can use the moss to decorate any pot, planter, and even candle holders. It makes for a lively decor for any season. You also get a tutorial to see how it can be done precisely. Who says you can’t decorate the kitchen countertop with a centerpiece? This idea shows how a rustic box works so well in modern kitchen design. The contrast creates a lot of charm and character in its decor. Check out the tutorial for the DIY project. 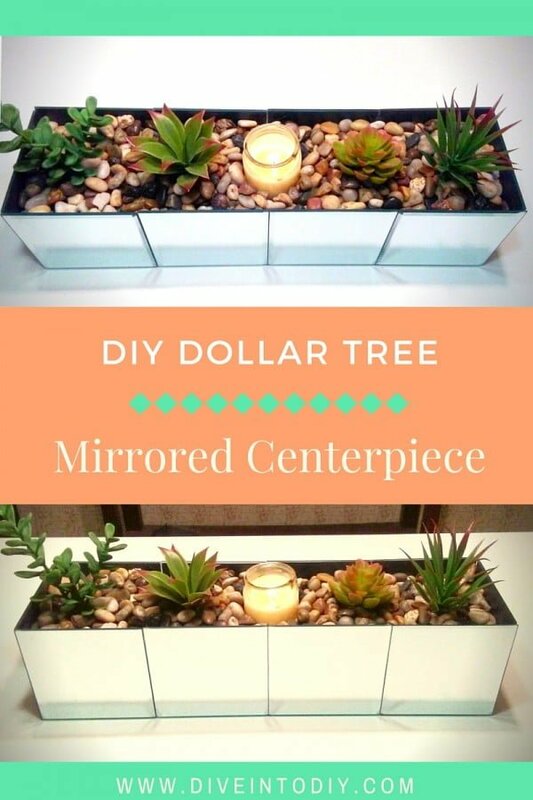 This mirrored centerpiece box looks interesting, and it’s a great way to add some glamour to your decor the easy way. It’s an easy project, and you can follow the tutorial to make one yourself. 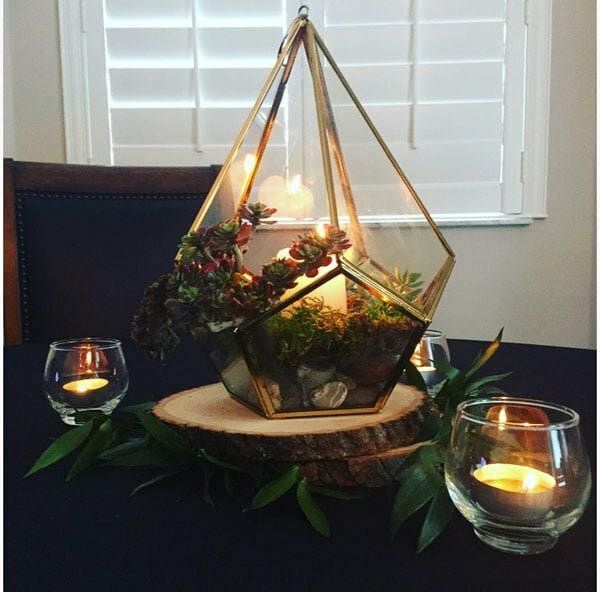 Terrariums make great centerpieces as they are, but you can take this idea even further. A geometric votive adds so much more decor interest to the tablescape. So, by all means, you should find an interesting votive and create a terrarium from it! Adding a candle inside of this DIY centerpiece is not mandatory, but you can, of course, do that if needed.